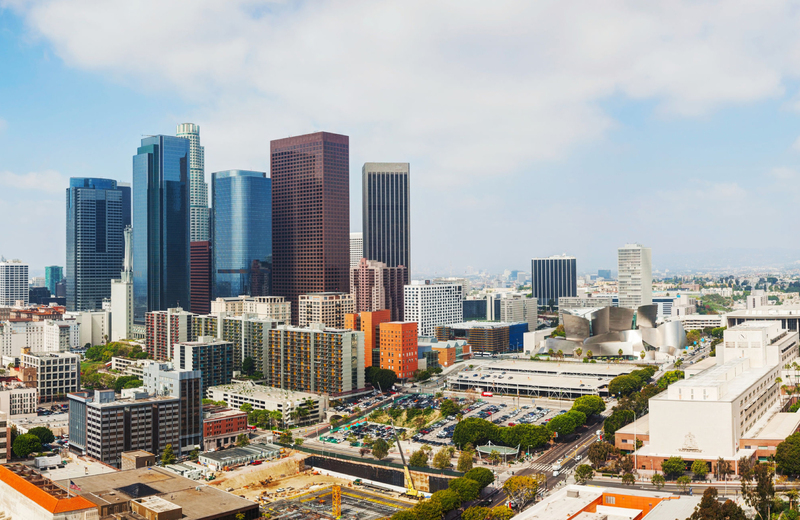 Have you been thinking about moving into a downtown LA apartment? The city is undergoing a renaissance of sorts and things are really beginning to change for the better. So it’s the perfect time to consider moving to DTLA. Forget about the dull, boring life that you lead right now. It’s time to make a serious change. It’s time to move into downtown Los Angeles and start enjoying the good life. Adventure and excitement are waiting for you right around the corner. There are so many great things to do in downtown Los Angeles right now. And the only way to truly get in on the action is to move into this thriving neighborhood. Many people have rediscovered the truth about DTLA. They know that downtown Los Angeles is an amazing place to live. Incredible food is one of the main reasons why so many people love living in downtown LA. It’s a veritable hotspot to eat some of the best food that Los Angeles has to offer. There are many different types of restaurants to choose from when living or visiting this section of Los Angeles. Some of the restaurants are quirky. Other restaurants are quaint. Some are more laid back than others. And some restaurants provide a sophisticated dining experience and act as the perfect background for important business meetings and other events in your life. Downtown LA truly has some incredible restaurants. We personally have a laundry list of favorites that we regularly go to more often than not. Some of the best coffee shops and restaurants in DTLA include: Faith and Flower, Tender Greens, Alma, Artisan House, Yojie Japanese Fondue, Zinc, Bottega Louie, The Factory Kitchen, Bestia, Blue Bottle Coffee, Redbird, Verve, Stumptown Coffee and so many other amazing choices. When you become a resident of DTLA, it’s like becoming a part of a diverse and interesting family. The more you visit local coffee shops and restaurants, the better the people get to know you and the easier it becomes to feel like you are part of a wonderful community. When you finally moved to downtown Los Angeles, one of the best perks is the amazing nightlife. Nobody wants to sit at home alone on a Saturday night. Get together with family members and friends and enjoy some of the many amazing bars and entertainment venues that the city has to offer. Everybody loves a good night out on the town every once in a while. If you love the nightlife and enjoy coming home after a whirlwind experience in the wee hours of the morning, you’ll certainly appreciate the amazing bars in this great part of the city. Some of our favorite bars and entertainment venues in downtown LA include: Seven Grand, The Orpheum Theatre, That Ace Hotel, Pattern Bar, Nokia Theatre, The Varnish, Exchange LA, Perch, Library Bar, The Edison, The Standard, EightyTwo and many more. As you can clearly see, the downtown LA nightlife is in full swing nearly every night of the week. Whether you’re bored on a Tuesday night or meeting up with friends for happy hour after work on a Friday, you’ll definitely have many wonderful options to choose from if you enjoy drinking, dancing, and having a great time! Living in downtown LA is going to be fun and exciting. That’s a fact because you know something interesting is always going on. Did you know that DTLA has some incredible luxury apartments? In fact, there are truly some amazing places to live that will literally have you enjoying life in complete luxury. Our favorite luxury apartment building in downtown LA is called Eighth & Grand. The apartments in this building are beautiful to say the least, and the amenities are second to none. As a matter of fact, some of the wonderful amenities that will be available to you as a resident in this complex include: access to a private screening room, Zen garden, social clubhouse, rooftop resort style pool, state-of-the-art Fitness Ctr., Penthouse lounge, lobby café, Whole Foods Market and more. You also get to take advantage of free Wi-Fi in public spaces, concierge service, a 24 hour doorman, free shuttle service in downtown LA, technical assistance, pet washing and dog grooming areas and much more. It should be plain to see that Eighth & Grand is definitely the perfect building for you if you intend to lead a luxurious life while living in DTLA. The main lobby of the building is a meeting place of sorts. You can get your morning coffee while there; make plans with the concierge, schedule deliveries for packages, reserve poolside cabanas and much more. You can hang out on the sundeck for grilling, chilling, drinking, and maybe even take in a movie while you’re there. Or you can just kick back and relax and have a good time doing absolutely nothing if that’s what you’re in the mood to do. The Sky Lounge is located right inside the building. Enjoy drinking, dancing, hanging out with your neighbors and more. And do it right from the luxury of your own building. You don’t even have to leave the premises, which is a huge bonus if you ask me. Fitness buffs are also in luck because there is an amazing fitness center right in the building. You can take care of all of your workouts in the fitness center and never have to worry about driving to a gym early in the morning or late at night again. Downtown LA apartments have certainly improved throughout the years. They are more affordable than ever and they are so convenient that it practically feels like you’re being waited on hand and foot. Take advantage today.